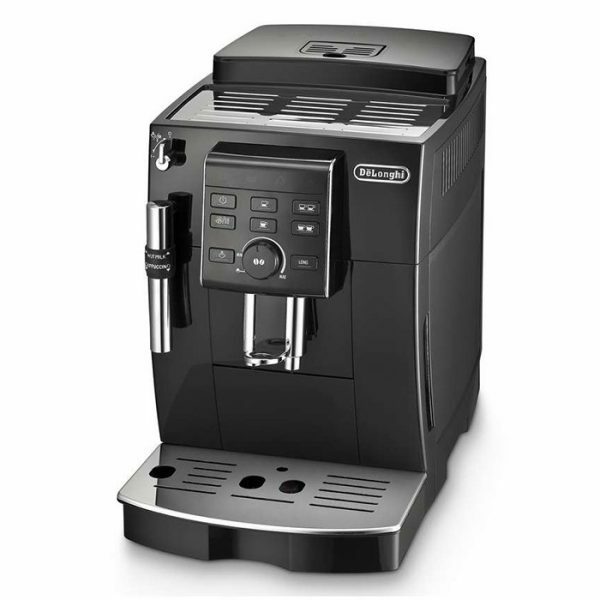 The De’Longhi ECAM 23.120.B is a bean to cup coffee machine that offers users a no-fuss way to enjoy freshly ground coffee at home. A free-standing machine, it produces great espresso from grinding the beans to delivering your cup of coffee at the touch of a button. 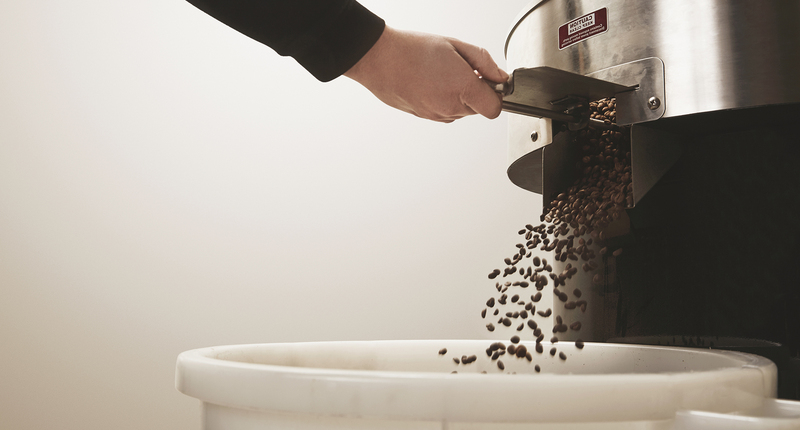 And the integrated coffee grinder with its thirteen adjustable settings does so almost silently for a pleasant user experience. There’s little waiting around with this machine. It’s thermoblock water heating system keeps the water at a consistent water temperature, ready for the next cup. 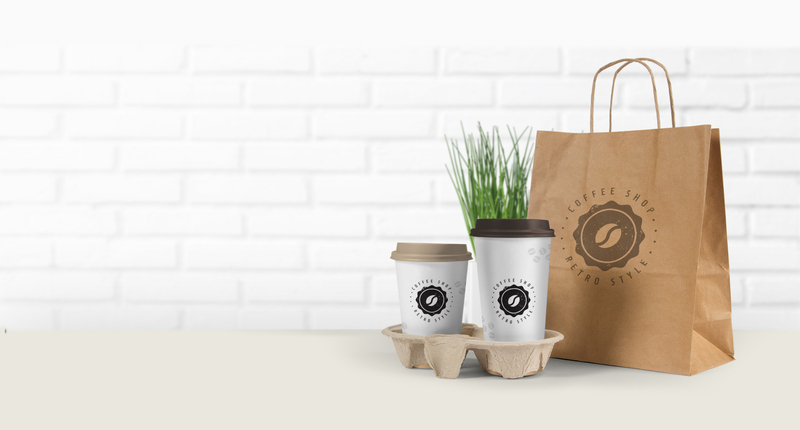 Have two coffee lovers in the house? Don’t worry. It produces two cups at a time. 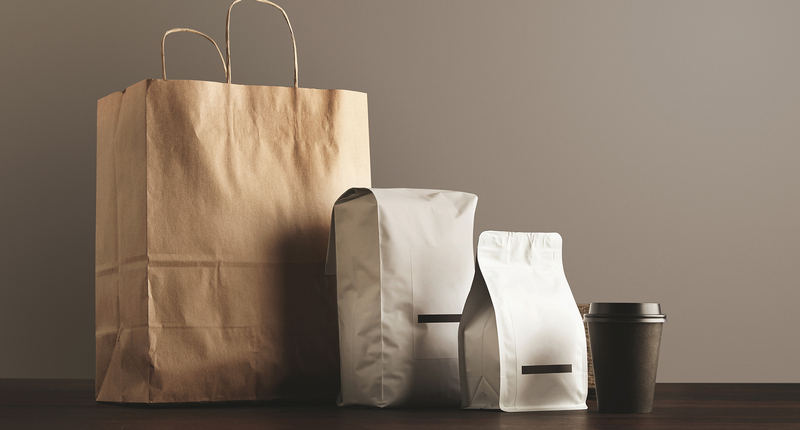 Want to use pre-ground coffee? Not a problem. 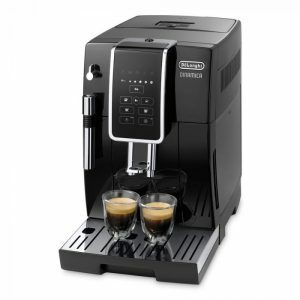 The De’Longhi ECAM 23.120.B coffee machine can handle that too. 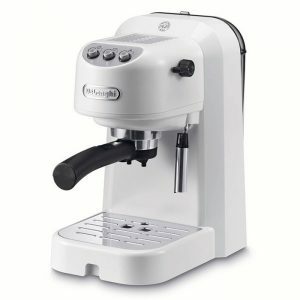 While it provides great espressos as standard, this De’Longhi bean to cup machine is also fully programmable for those who prefer their coffee a different way. There are three lengths and temperatures to choose from, plus strength can be set from very strong to extra mild, dependent on your tastes. 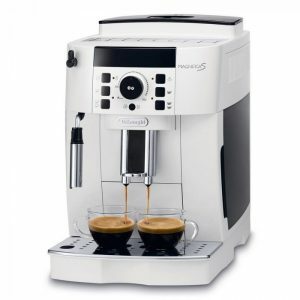 For milky coffee lovers, the high quality inbuilt cappuccino system offers two settings: hot milk and milky foam. 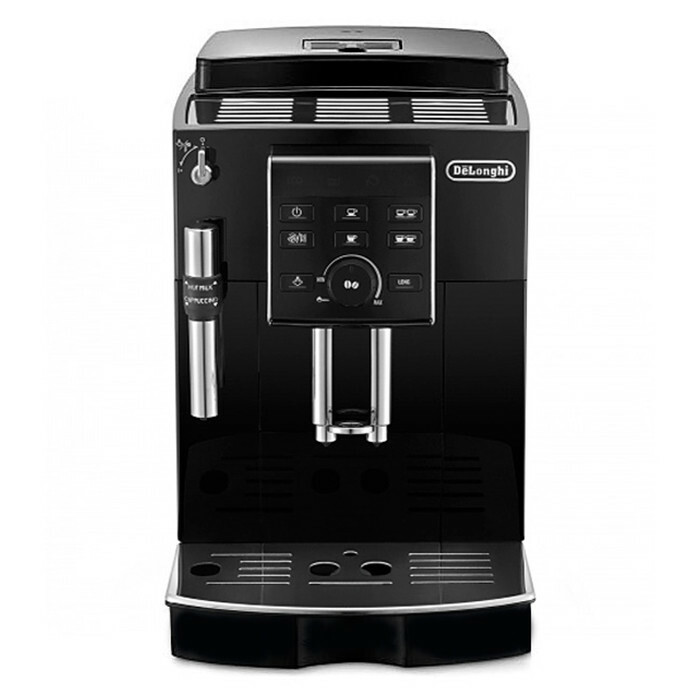 This enables users to make drinks such as hot chocolate as well as rich creamy frothed milk that’s ideal for all milky coffee types. It’s also easy to clean with its automated descaling and rinsing programmes, making keeping it in great working order simple. 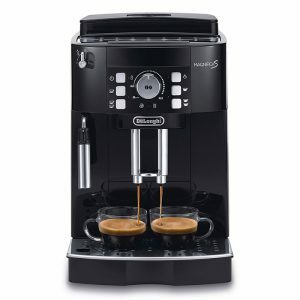 All in all, this is a De’Longhi bean to cup coffee machine that’s a pleasure to use.